Failure to do so may cause future personal injury. Do not repair or replace the seat stitching or seams in the seat back trim cover with an internal mounted seat side airbag module. Replace the complete seat back trim cover from the OEM. Non-OEM seat stitching may cause improper airbag deployment which could result in personal injury. Remove the driver or passenger seat. 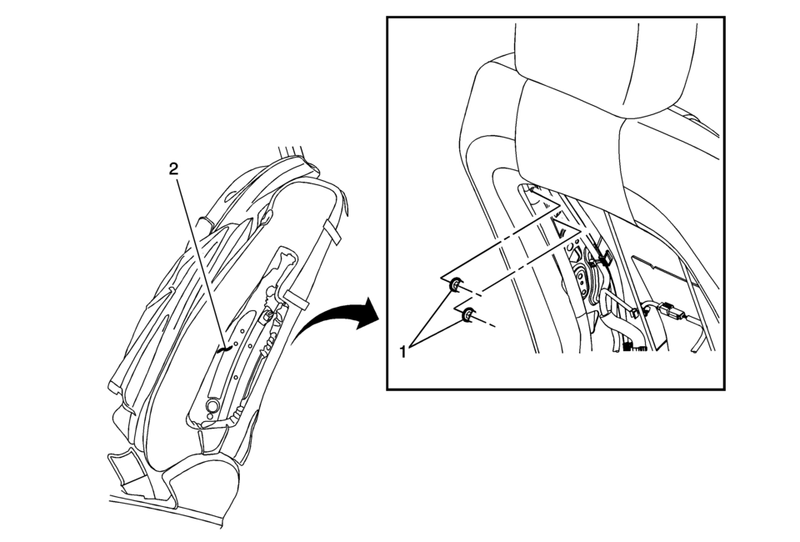 Refer to Driver or Passenger Seat Removal and Installation. Remove the driver or passenger seat back cushion cover and pad. Refer to Driver or Passenger Seat Back Cover and Pad Replacement. Remove the seat side inflatable restraint module.